Children may be enrolled in Beautiful Savior Childcare Programs in the month of their third birthday, or if their birthday will be on or before December 31st of the year they will be enrolled. 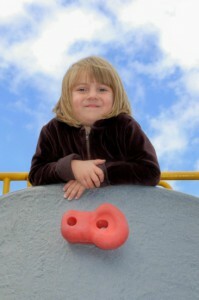 Children with additional support needs are welcome in our program. An interview with the director will help to assess the child’s needs for staffing and programming. 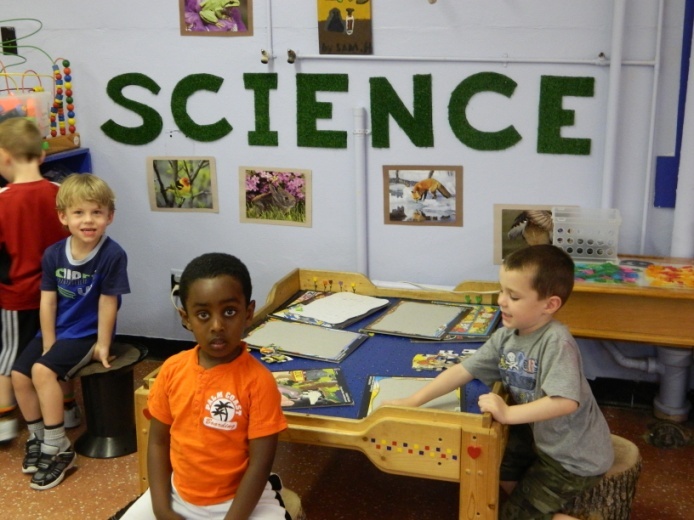 We provide a rich first-experience for children in creative play, socialization, and cognitive growth. Circle: we gather together as a group and share in Bible stories, songs, finger plays, weather charting, and sharing of personal stories. Following Free Play time, children are guided in a cleanup of their play area. Large Motor Skills Play: The children spend a portion of their time playing on climbers, with balls, bikes, or other fun gross-motor games. Snack time: The children participate in a table blessing. During snack time the children are encouraged to use their table-manners, and are assisted in developing self-help skills such as opening containers and cleaning up after themselves. Curriculum: Our curriculum is Reggio Emilia inspired. Each child is viewed as competent, curious, and full of knowledge and potential. Kindergarten readiness practices are incorporated into our program. Absences and Illnesses: Please call the centre at 256-3799 if your child will be away due to illness or other circumstances. Children who have an infectious condition should not be sent to school. No child should attend school for 24 hours following a fever, vomiting, or starting a prescribed medication (i.e., antibiotics). If a child becomes ill at school, he will be given a place to lie down away from the other children. A staff person will remain with the child to ensure safety and comfort and parents will be contacted to pick up the child. In the event of a medical emergency, 911 will be called and the parents notified. Communication Newsletters: Families will receive a bi-monthly e-newsletter and calendar. The newsletter will outline materials needed, dates to remember and other important news and fun details of your child’s program. Drop off and Pickups: Every child must be accompanied by a parent or pre-authorized person to the classroom upon arrival, and will be dismissed when a parent or pre-authorized person arrives for pick-up. Please sign your child out on the sign out sheet on the bulletin board. No child will be released to any persons whose name is not on the registration form. A daily verbal or written confirmation is requested for a non-parent, pre-authorized person to pick up a child. Promptness is appreciated. No child will be released to anyone under the age of thirteen. Class Begins: The doors to the classroom open 5 minutes before the class begins, at which time the teachers will assume responsibility for your child upon his/her entry into the classroom. “Homework”: At times, the children at St. Mary’s Campus will be asked to do “homework” (cutting, collecting items, etc.) that will need to be brought back for the next class. When these activities occur, they will be in a clear Ziploc bag with your child’s name on it in their school bag. Parent Volunteers: Parent Volunteers are invaluable for special activities and special snacks throughout the school year. If you are able to assist, we are very pleased to have you celebrate with us and a sign-up sheet for the year will be posted at the centre. Please choose the one time or activity that would suit your schedule. We will help to remind you of your volunteer date as the activity draws near. Punctuality: Please be punctual. To assist children’s transition into their day and to accomplish the goals for the day, it is very helpful to have the full class time with the children. Parents are welcome (and encouraged) to visit with one another outside the classroom, keeping younger siblings with them at all times. Snack Time: Healthy snacks are encouraged in your child’s lunchbox. Some examples are fruits, vegetables, cheese and crackers, muffins, yogurt, pudding, etc. (no chocolate or candy, please). One or two items are usually just the right amount for each snack. Please send a drink of water, juice or milk for your child in their lunchbox, or a plastic cup labelled with your child’s name for water from the school. Monday – Friday 9:00 a.m. – 11:15 a.m.
Our programs follow the school calendar and will be closed for Christmas holidays, Spring Break, and the summer months (July and August). St. Mary’s Nursery is closed from June-August. Located in the grade school, we offer Christian childcare programs 5 days a week. 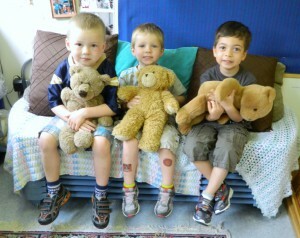 The children are integrated into many aspects of daily life at BSLS. They participate in weekly Chapel services as well as special school events, such as concerts and storytelling. There are bi-weekly music classes taught by a qualified music instructor. The children begin each day with O Canada and Luther’s Morning Prayer and have access to the school gym on a daily basis for indoor active play. The childcare programs are play-based where children are able to construct their own learning through play experiences, offered and supported by the teachers. Teachers are viewed as facilitators for children’s learning. Parents are also an essential component of the program. Our curriculum is Reggio Emilia inspired. At Beautiful Savior each child is viewed as competent, curious, full of knowledge and potential. Kindergarten readiness practices are incorporated into the program. Through the conscious use of space, color, and light, displays of children’s work, and attention to nature and detail, the environment serves as another teacher. The children’s morning at the centre will start with self-initiated play. Self-initiated play is a time for children to learn. It is a time for exploring, discovering and experiencing activities. Everything that your child does during this time will be developmentally based. The materials and equipment will be chosen considering physical, social, emotional, cognitive development and spiritual growth. We will be incorporating nature education into our program by bringing more of what nature has to offer into our room as well as taking our room outdoors. Absences and Illness: Please call the centre if your child will be away due to illness or other circumstances. Children who have an infectious condition should not be sent to preschool. No child should attend school for 24 hours following a fever, vomiting, or starting a prescribed medication (i.e. antibiotics). If a child becomes ill at school, he will be given a place to lie down away from the other children. A staff person will remain with the child to ensure safety and comfort and parents will be contacted to pick up their child. In the event of a medical emergency, 911 will be called and the parents notified. Pandemic Prevention: All adults will use hand sanitizer when they enter the classroom. All children upon arrival at the centre will be supervised by their parents as they wash their hands. Communication: Information for parents is posted on a Parent Bulletin Board. Bi-monthly newsletters will be sent by email. Drop off and Pickups: Every child must be accompanied by a parent or pre-authorized person to the classroom upon arrival, and will be dismissed when a parent or pre-authorized person arrives for pick-up. No child will be released to any persons whose name is not on the registration form. A daily verbal or written confirmation is requested for a non-parent, pre-authorized person to pick up a child. No child will be released to anyone under the age of thirteen. Parent Volunteers: Parents are welcome to come to the classroom and observe their child at play at any time of the day. We welcome parents to come to read to the children, share their family traditions or talents. Lunch and Snacks: Healthy snacks and lunches are to be brought from home. (No chocolate or candy please) Children are encouraged to eat main course items, fruit/vegetables, and then their dessert. (Please note: We will not be participating in the school hot lunch program this year). We thank you for your cooperation in this matter. Hot lunch can be something to look forward to in Kindergarten. Please label your child’s lunchbox and use ice packs for items that need to be kept cold. There is a microwave oven in the class if you wish to send items that need to be warmed. We do not provide beverages other than water. Please send a labelled plastic glass to be used for water throughout the day. Prayers will be said before snack and lunch time. Napping: All daycare parents have the option of their child napping each day. If you wish your child to nap please provide them with a sheet for their cot, a cozy blanket and small pillow. Children who nap may bring a stuffed toy to snuggle with. Bedding will be sent home on Fridays to be laundered and will need to be returned on Mondays. Clothing: Please make sure that your child has an extra full set of clothing in their locker at all times. Daycare: Monday – Friday 7:00 a.m. – 5:30 p.m.
Nursery: Monday – Thursday 9:00 a.m. – 12:00 p.m.
Our programs follow the school calendar and will be closed for Christmas holidays, and the summer months (July and August). The daycare remains open for Spring break. Nursery classes are closed for Spring Break.